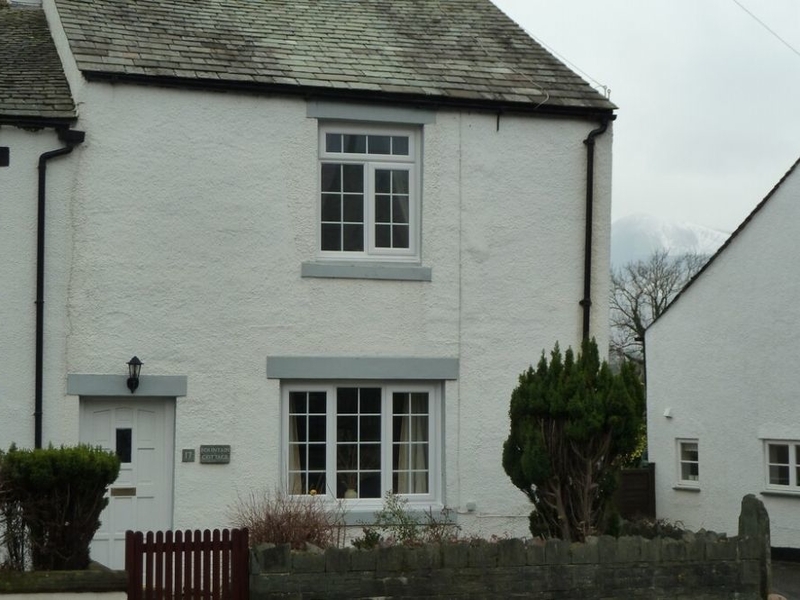 Fountain Cottage, Keswick is a lovely, welcoming cottage, located in Keswick town and close to the River Greta. The cottage is close to local pubs, shops, and restaurants, and within easy reach of fell walks and local visitor attractions. The cottage sleeps 6 adults, with one double bedroom, two twin bedrooms, and a family bathroom. 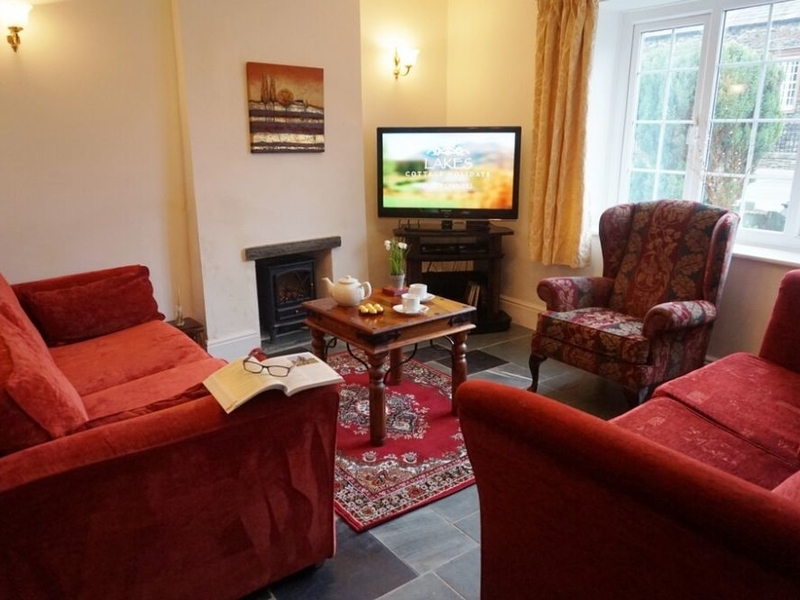 The sitting room features stone flags, and a fireplace with a cosy electric stove effect fire. There is a traditional dining area and a fully equipped kitchen. There is private parking for 1 car. Explore the beautiful fells, sail on Derwentwater, explore the shops, restaurants and attractions of Keswick, all within easy reach of Fountain Cottage, Keswick for an amazing family holiday. Over three floors. Three bedrooms: 1 x master double room on 1st floor, 1 x twin room on 1st floor, 1 x twin on 2nd floor. Bathroom with shower over bath, WC and basin on the 1st floor. Kitchen. Dining area. Sitting room with fireplace and electric stove effect fire. Gas central heating with electric stove effect fire. Electric oven and hob, microwave, fridge/freezer, washer/dryer, TV, Blue Ray DVD player, XBox games console, a selection of books, board games, and films. Fuel and power inc. in rent. Wifi. Bed linen and towels inc. in rent, cot and highchair available, private rear parking for 1 car, small shrubbery to the front, 2 well-behaved dogs welcome. Pub within walking distance. Note: Max 6 adults. We also have details of 73 other similar properties nearby which might suit you.